Fernando Beteta is a dynamic and entertaining host for wine classes, lectures and speaking engagements. His approach is to make wine fun and easy to learn. Often taking a casual approach, the sessions allow everyone to feel relaxed and promotes engagement. This is one of the most popular tastings Beteta provides. 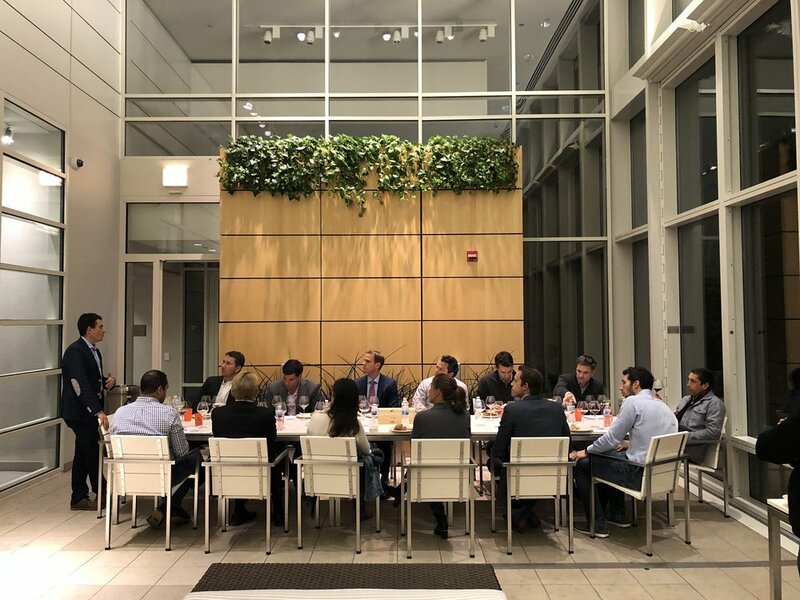 This engaging and educational tasting is a lesson on how Master Sommeliers deduct wines based on color, aroma and flavors. Beteta will pick 6 classic wines from around the world that are wrapped and poured blind for you and your guests. He will guarantee that even the novice wine drinker will enjoy this tasting and be able to discern the differences between an Old World and New World wine, wines with high and low acid, oaked and unoaked. This is a 2-hour experience that can be set up casually in your home or event space. Descriptions and tasting notes on each wine tasted. For larger groups or added suggestions, we can provide these services. Want to personalize the theme? An intimate, educational tasting of French wines. Explore sparkling, whites & reds from different regions of France, Beteta picks the classic regions of France, including Bordeaux, Burgundy, Rhône, Champagne and Loire Valley to educate you on the differences in styles, grapes and history. This is a no-hassle, food and wine party that Beteta can plan for you. Originally one of his favorite themes to host friends at home, this is a fun way to approach intimidating wines. Basics: Three different fried-chicken tastings from classic to Korean style are paired with 5, 6 or more Champagnes. I will do my best to accomodate dietary restrictions.